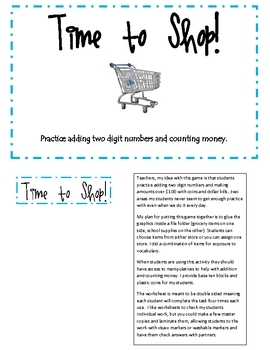 This is a great file folder game to help students add two digit numbers and make money amounts. 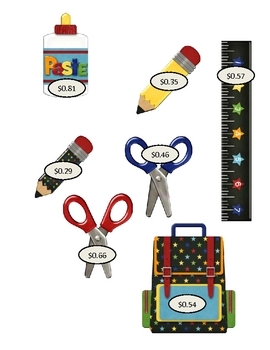 First the students will choose from a variety of food and school supply items, choosing two at a time to buy. 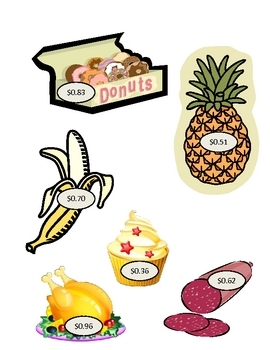 They will add the two amounts together (all are two digit amounts). 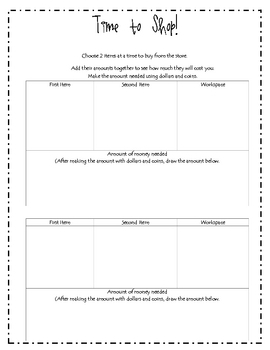 When students have a total, they will have to create that amount of money using coins and/or dollars.